Resident recruitment, program accreditation and physician wellness are focal points for Educational Affairs. The last three Educational Affairs updates in Academic Matters have focused on undergraduate medical education, pharmacy and nursing, respectively. This article will center on graduate medical education at the University of Florida College of Medicine – Jacksonville. University of Florida medical school students convene during Match Day. It’s a busy time of year for our GME programs. Recruitment for incoming residents and fellows took place over several months. The fellowship match occurred in December, and we have a great group of fellows who will be joining our subspecialty fellowship programs in medicine and pediatrics. 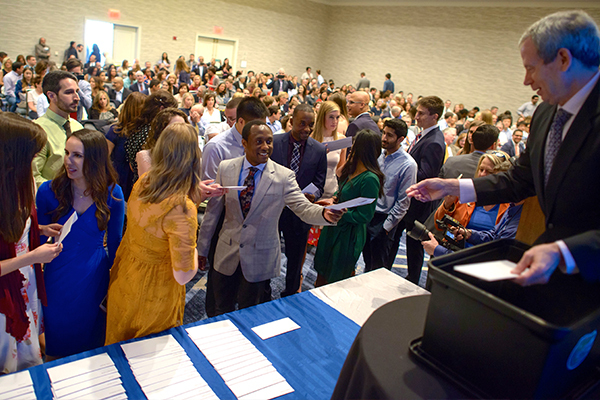 Residency interview season wrapped up and programs — as well as medical students — finalized their “match lists” for submission to the National Residency Match Program. In March, students learned where they will continue their training after graduating from medical school, while programs learned who will be joining them in July for continued training. This is an exciting time for all involved. Since the last GME update, we received notification of the accreditation of three new programs: child and adolescent psychiatry, integrated diagnostic and interventional radiology, and rheumatology. All of our accredited programs submitted updates to the Accreditation Council for Graduate Medical Education’s Accreditation Data System, or ADS. The ACGME’s review committees evaluate programs annually based on our electronic submission of data through ADS, as well as data from ACGME resident and faculty surveys. This process was implemented as part of the Next Accreditation System that began several years ago. Most of our programs have recently received notification from their review committees of continued accreditation, which is great news. We are still waiting to hear about a couple of our programs but anticipate more good news. Institutionally, we continue to review our ACGME-accredited programs annually, having completed this year’s review in the fall. These robust reviews are conducted by a subcommittee of the Graduate Medical Education Committee, which includes seasoned program directors, hospital staff and a resident representative. As part of the ongoing accreditation of sponsoring institutions, we had our third ACGME Clinical Learning Environment Review, or CLER, in November. The CLER site visit is an intense two days during which visitors meet with UF COMJ and hospital senior leadership, residents and fellows, program directors and other faculty. An audience-response system gathers information during these meetings. In addition, the site visitors make rounds in the hospital, where they interact with nurses, pharmacists and others not interviewed in the group settings. They also observe transitions in care. In all, the site visitors interacted with more than 150 people. From these meetings and interactions, the CLER site visitors provided us a comprehensive report on observations gleaned in six focus areas: patient safety; health care quality, including disparity in health care; supervision; transitions in care; well-being; and professionalism. The information will serve as a guide as we look to enhance the clinical learning environment in which our residents train. Last, but no less important than recruitment and accreditation, are the ongoing efforts to address physician wellness. 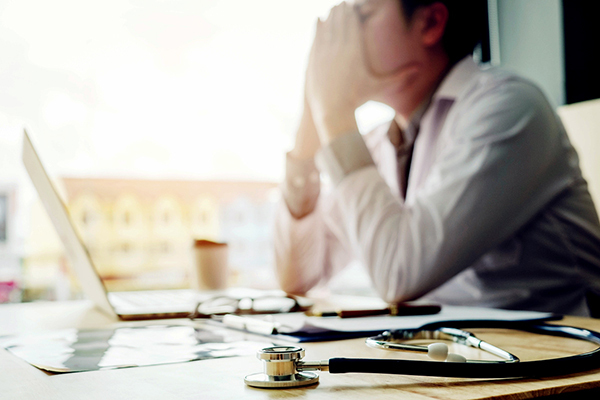 You cannot pick up a medical journal or go to a medical association’s website without reading an article or op-ed on physician burnout and the need to address the well-being of our physicians. Campus leaders are taking measures to provide more support for faculty and resident physicians in distress. The ACGME now requires institutions, in partnership with their programs, to address well-being of residents, fellows and faculty. This includes education in symptoms of burnout and depression, as well as tools for self-screening and access to confidential, affordable mental health services. Our institution has a taskforce that is working to develop a comprehensive, institution-wide approach to wellness that includes a crisis response team, a peer support program, behavioral health services, and prevention and education outreach. Assisting our residents, fellows and faculty to achieve the appropriate work-life balance will lead to safer patient care, greater job satisfaction and healthier physicians. Linda Edwards, M.D., is senior associate dean for educational affairs for the University of Florida College of Medicine – Jacksonville. In addition, she is an associate professor and associate chair of medicine, and chief of the division of general internal medicine. 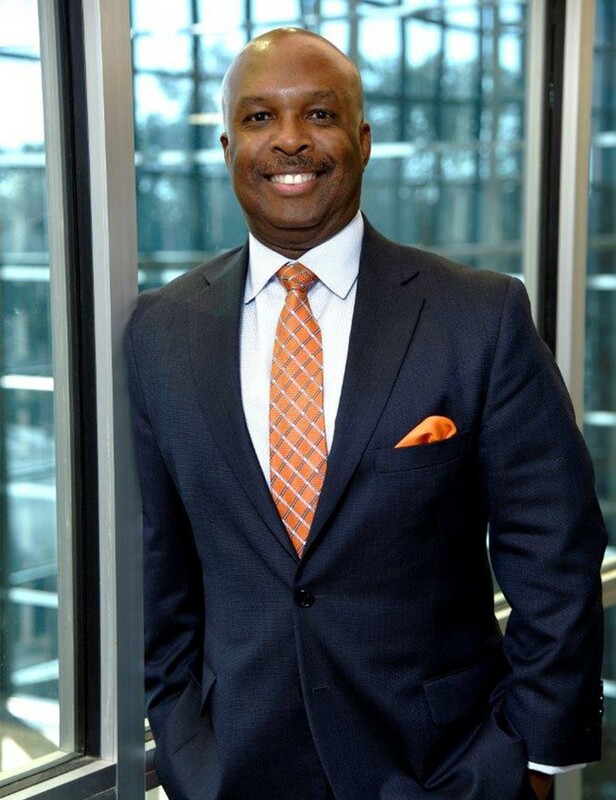 Edwards is head of the medical college’s Office of Educational Affairs, which is responsible for the management and oversight of graduate and medical student education on the Jacksonville campus, as well as faculty development. She serves as the designated institutional official, working closely with the Graduate Medical Education Committee, to ensure campus compliance with Accreditation Council for Graduate Medical Education accreditation essentials for medical residencies and fellowships. 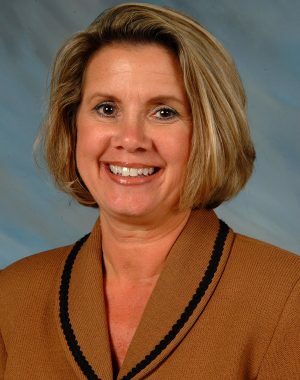 Edwards received her medical degree from East Carolina University in Greenville, North Carolina, and completed an internal medicine residency at the UF-affiliated Jacksonville Health Education Programs. Upon completion of her residency, she joined UF at the then-University Hospital in 1984. In 1993, Edwards was promoted to associate professor and chief of the division of general internal medicine. In 2008, she was also appointed associate chair for the department of medicine, and in 2013 was named senior associate dean.